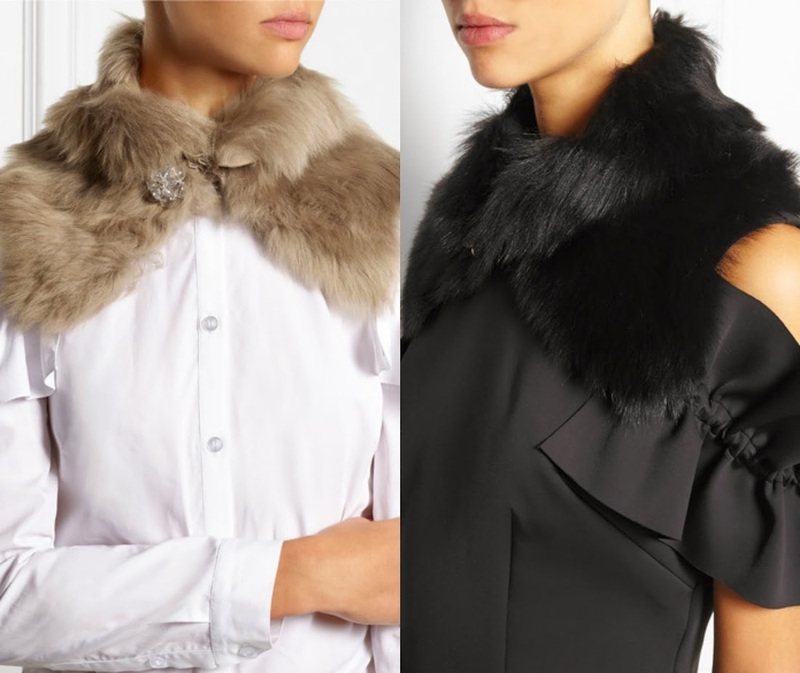 WOULD YOU WEAR THIS SHEARLING COLLAR? Checking Net A Porter saw this collar from Simone Rocha, which I found interesting to talk with you and ask your opinion, looks good, black is perfect if you're all dressed in black and you like to carry a more minimalist look but it is one of those designers things who would be saved in my closet for a long time (unless I live in canada, greenland or germany where the cold is more recurrent) but otherwise would be in their bag in the depths of my wardrobe. So what do you think? On the runway looked great but it is only for just one season or maybe a piece of collection that can be used for more than two? Remember that costs ($484.97 & $620). Feel free to comment what you think about this. I think that I actually like the brown one better. The black one is gorgeous but very glam. Funny that you mentioned Canada because when I lived in Vancouver it never got cold enough to warrant a collar like that... In any case you could wear the brown one in the spring over a denim jacket.... that would prolong it's wear!